The Concept 3 Ceiling Fan has a standard, 52″ blade span, with four plastic blades making it suitable for indoor and outdoor, undercover use. 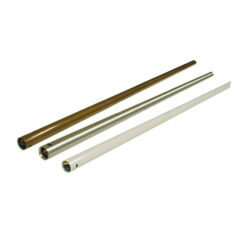 It has a powerful AC motor reaching a maximum airflow of 13,320m3/hr and has reversible speeds for use all year round. 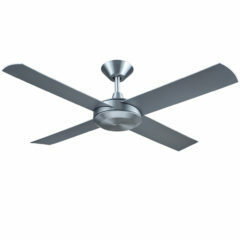 This fan comes with a Warm White LED light kit and is operated via a three speed wall control however, is remote adaptable. The Concept 3 Ceiling Fan is a 1320mm ceiling fan, can be installed in a variety of indoor spaces particularly those with a minimalist or modern design. 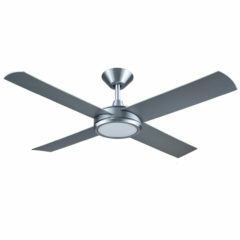 With its three speed wall control and simple styling it is a popular fan for living areas and bedrooms. Now, this new model has four, plastic blades which means it is also suitable for outdoor, undercover use. This model is matte black and comes with an LED light, however a model without light is also available – please see alternative listing. 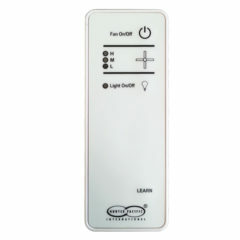 This light kit is dimmable if used in conjunction with the Logic remote control. The light is also compatible with leading edge and trailing edge wall dimmers (sold separately). This light kit replaces the cap at the base of the motor and fits seamlessly with the fan given its new slimline design. 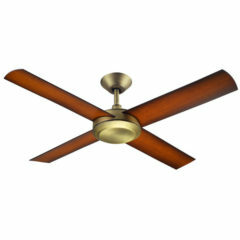 This fan has an 2 year in-home warranty as well as an additional 3 year motor parts warranty. 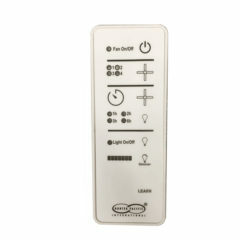 Controls and lights have a separate 12 month warranty. 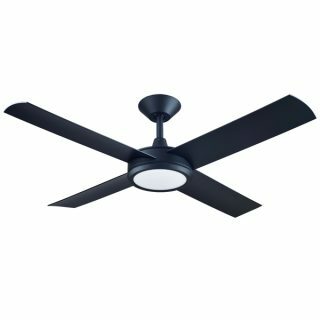 The Concept 3 Ceiling Fan has a standard, 52″ blade span, with four plastic blades making it suitable for indoor and outdoor, undercover use. 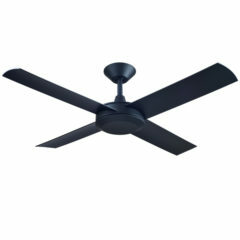 It has a powerful AC motor reaching a maximum airflow of 13,320m3/hr and has reversible speeds for use all year round. 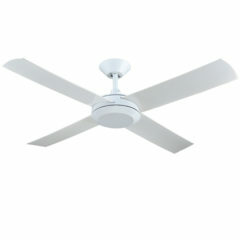 This fan is operated via a three speed wall control however is both remote and light adaptable. The Concept 3 Ceiling Fan has a standard, 52″ blade span, with four plastic blades making it suitable for indoor and outdoor, undercover use. It has a powerful AC motor reaching a maximum airflow of 13,320m3/hr and has reversible speeds for use all year round. 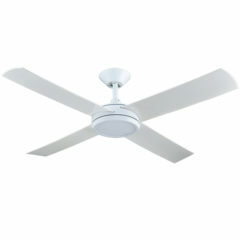 This fan is operated via a three speed wall control however is both remote and led light adaptable.